Today, let’s experiment with something a little different! Have you heard about Periscope yet? And how they wanted to build the closest thing to teleportation. Basically… it’s a new mobile app to livestream video that’s sort of like a wild frontier people are experimenting with. – and there are these really neat hearts where if enough people tap the screen, it’s called a “heart attack“. haha! I’ve been really fascinated by it this week and would love to try one with YOU! 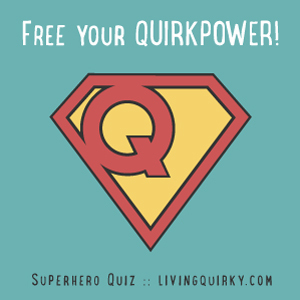 What: A live conversation on quirky. 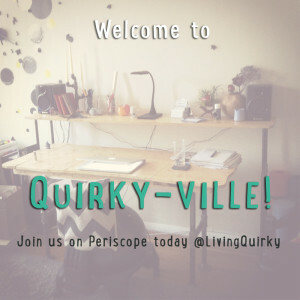 You’ll get the sneak peek into what my little quirky world looks like and since it’s meant to be a conversation after all… please feel free to bring your questions and topics! When: Today at 1pm EST. How: There are 3 simple things you need to do to join us today! Step 2: Find + follow @LivingQuirky on the app. Step 3: Meet us in the Periscope app at 1pm EST!! !